Found this crab in the beach during our weekend escapade at Bintan Island in Indonesia. Some guests took crabs home but we didn't dare to. first time kong nakakita ng white crab. albino kaya? What a great find and a lovely photograph. You are right. You now have it forever. What an interesting find. I'm with you, you will have sweet memories of it with yo always. What a cool shot. wow, you don't see white crabs very often ! actually my first time to see one ! nice shot ! A beautiful creature of the wild! Wonderful photo! Never seen a white crab before. Great shot and beautiful colors in it. What a great find, and beautiful capture! Fantastic work - you have a wonderful blog! So glad I found you!! That must have been amazing! Love the cute little crab! I love all things beach! Great shot! As cute as a scorpion. That's very cool! Great capture! 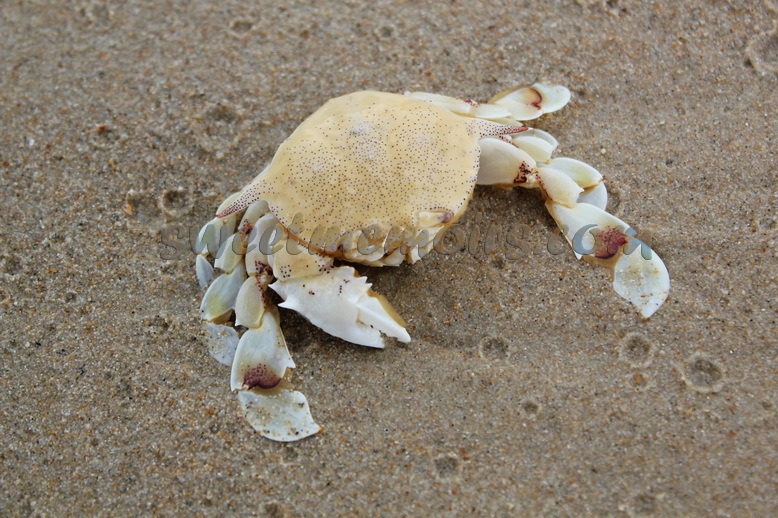 Love your getaway images, and I've never seen a white crab before, either! This is my first time here on the Texture Thursday challenge ... I'm enjoying all the images! :) Have a wonderful weekend! That's cool! Never see one before..
yeah, that's so true... memories through our lens last forever... haven't seen any white crab yet really... visiting from WW! wow, haven't seen a white crab before. is this edible? :) visiting from WW. This crab is a darling. So cute. Ako rin, I'd rather photograph it.